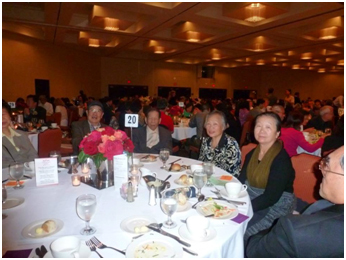 Family Bridges celebrated its 46th Annual Fundraising Diner on Saturday, June 7th, 2014 at the Oakland Marriott City Center. Emmy-award winning and retired broadcast journalist Dana King was our emcee for the evening. Over 500 Family Bridges supporters and friends came to support the event. This year, we honored the Hotel Oakland Village with the Frank G. Mar Award for Community Service, and Oakland City Council President Pat Kernighan (District 2) with the Kenneth Hoh Award for Advocacy. Here’s to 46 years in the community, and continuing to 47 years strong! Hotel Oakland Village is very honored to have received the Frank G. Mar Award in recognition of its dedication to building a healthy and thriving senior community. The award was presented by Family Bridges at the 46th Annual Fundraising Dinner last Saturday night. The Hotel Oakland owner Bill Langelier, vice president Megan Jochimsen, staff and some village health group leaders and residents were invited to attend the event. In his acceptance speech, the owner Bill Langelier emphasized the importance of the health group leaders’ and residents’ hard work and contribution in making HOV successful. It was a great encouragement for all village leaders and residents. The Hotel Oakland Village is honored to accept this award from Family Bridges, our valued Village Partner who has helped make the Hotel Oakland Village a great success. First, I would like to thank my colleague Megan Jochimsen and the Hotel Oakland staff for their continued support. Additionally, I would like to thank all the Village Health Group leaders and members for their activism and enthusiasm for good health. 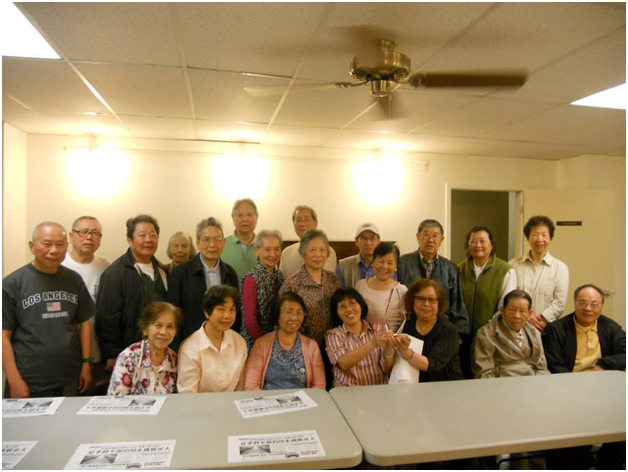 When we introduced the concept of the Health Village three years ago, we did not know what kind of a reception we would receive from the residents. Since that time, we have had enormous support from our village residents, health group members, volunteers, and the community. Isolation is the greatest health risk for seniors. The more residents participate in Village Health Groups and activities, the better their chances are to lead healthy, independent lives. The Hotel Oakland Village follows a simple, but highly effective motto and that is: “Participation = Good Health.” Please visit our Facebook page to see the amazing, healthy results that the Hotel Oakland Village has experienced through active participation by our Village members.